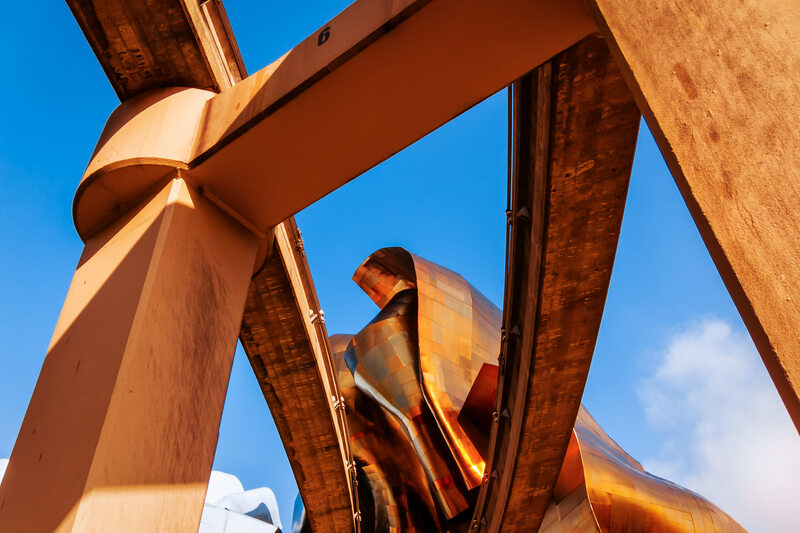 The morning sun illuminates tracks of the Seattle Monorail leading to the Frank Gehry-designed EMP Museum. 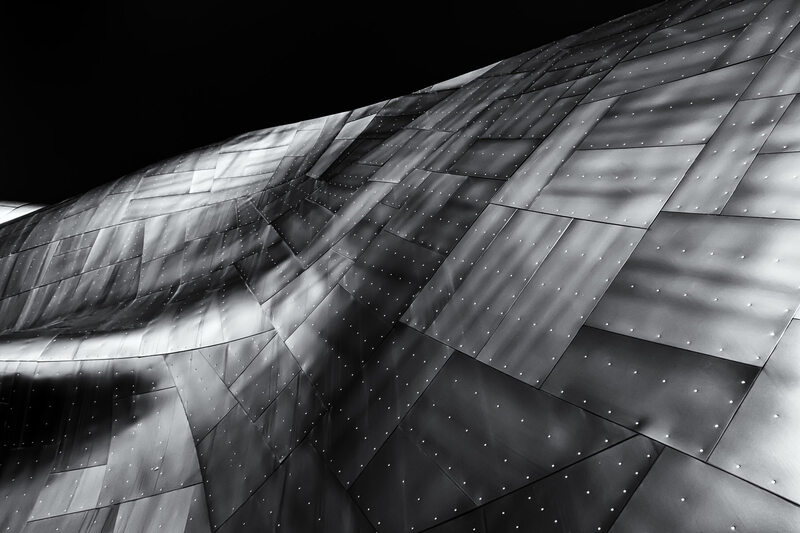 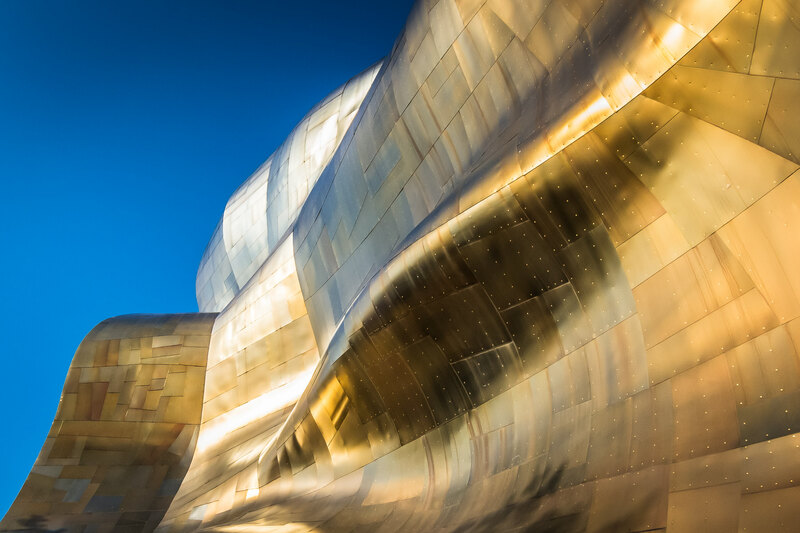 Architectural detail of architect Frank Gehry‘s Experience Music Project‘s stainless steel exterior in Seattle. 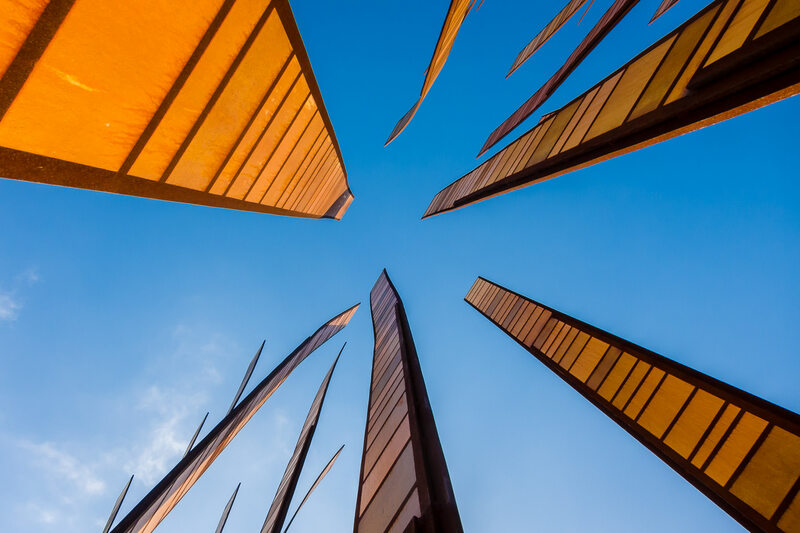 Grass Blades, a sculpture adjacent to the Experience Music Project, rises into the blue sky of Seattle. 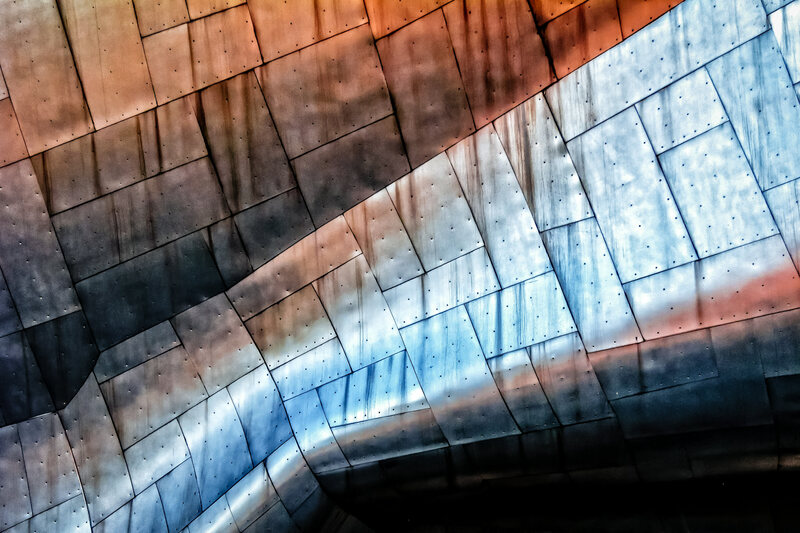 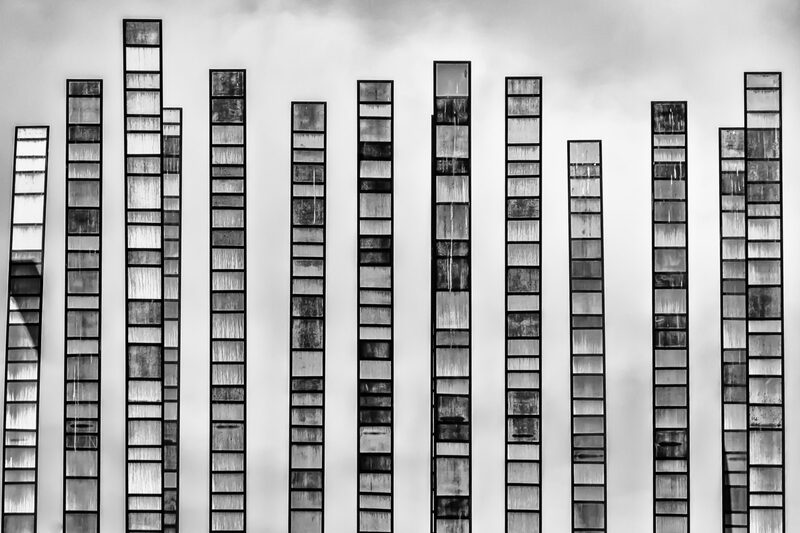 Architectural detail of the Frank Gehry-designed Experience Music Project, Seattle. 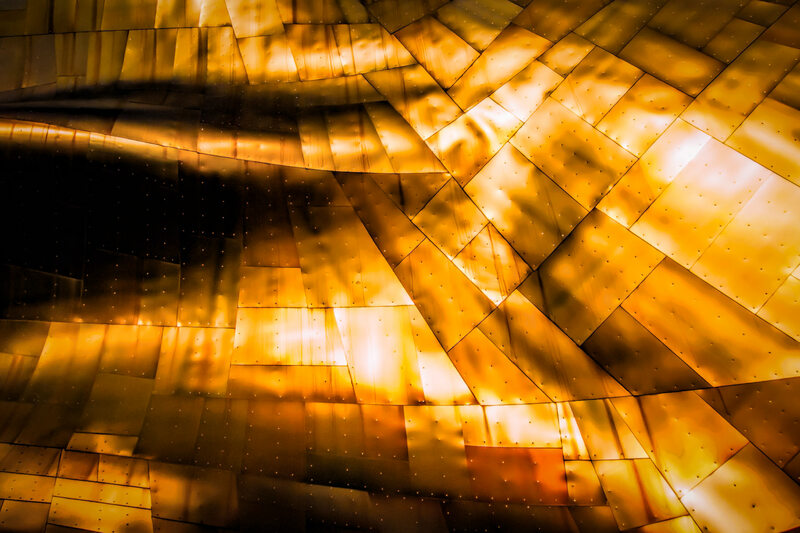 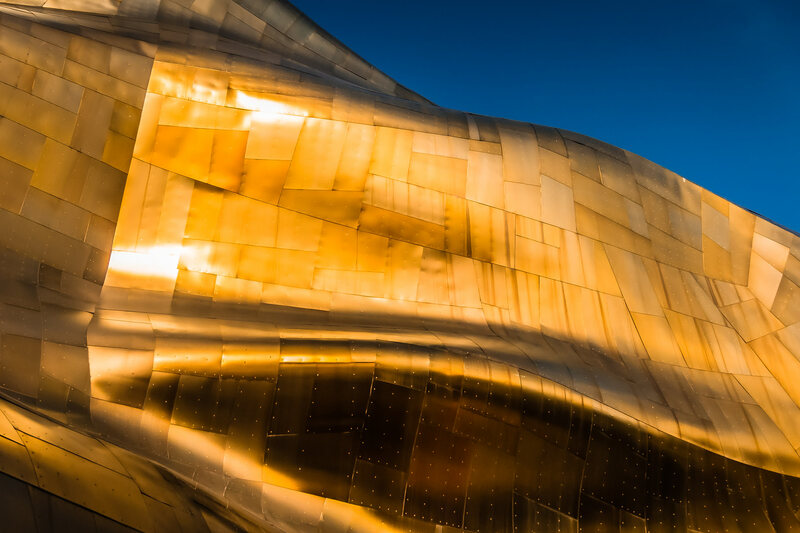 The early-morning sun lights the organic curves of the stainless steel roof of architect Frank Gehry’s Experience Music Project in Seattle, Washington.